Ohio: Cleveland police urged a suspect who they said posted video of himself on Facebook killing an elderly man on Sunday to turn himself in to authorities. 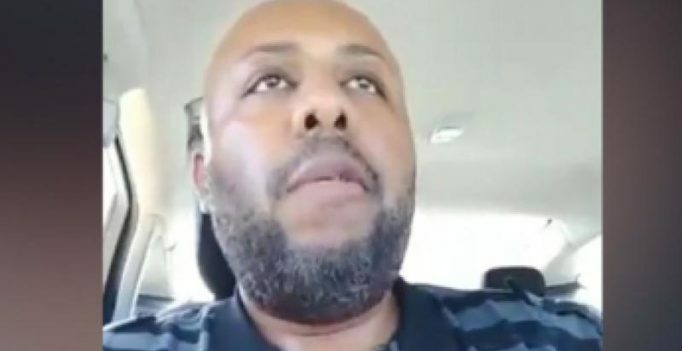 Officials in the Ohio city said they were looking for Steve Stephens in connection with the one confirmed killing but had found no evidence to support what police said was a claim he made in the video of having killed more than a dozen other people. “Everybody is out there looking for Steve,” Calvin Williams, the Cleveland police chief, told a news conference, where he joined Mayor Frank Jackson in asking Stephens to turn himself in. They said Stephens might be driving a white or cream-colored Ford Fusion, and that he was armed and dangerous. “We want this to end with as much peace as we can bring to this right now,” Williams said, adding police knew of no other victims. Police said Stephens used Facebook to post video of him killing the man, who police identified as 74-year-old Robert Godwin Sr. Stephens is not believed to have known Godwin. The world’s largest online social network, used by more than 1.2 billion people every day, condemned the accused killer’s action. It is not the first time a serious crime has been posted on Facebook. In January, four black people in Chicago were accused of attacking an 18-year-old disabled white man and broadcasting the assault on the service while making anti-white racial taunts.